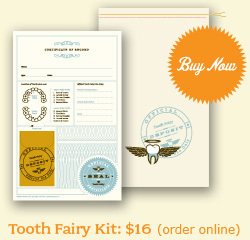 of Record for filing with your local Tooth Fairy and one reusable silkscreened cloth deposit bag for your first and all subsequent transactions. 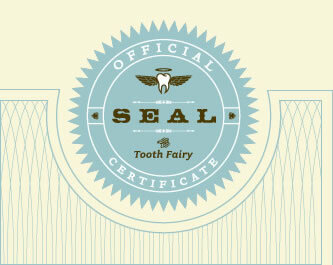 The offical certificate keeps record of name, age, tooth lost, method of extraction and compensation information. wholesale inquiries: info@notionfarm.com © 2007-2009, Notion Farm. All rights reserved.